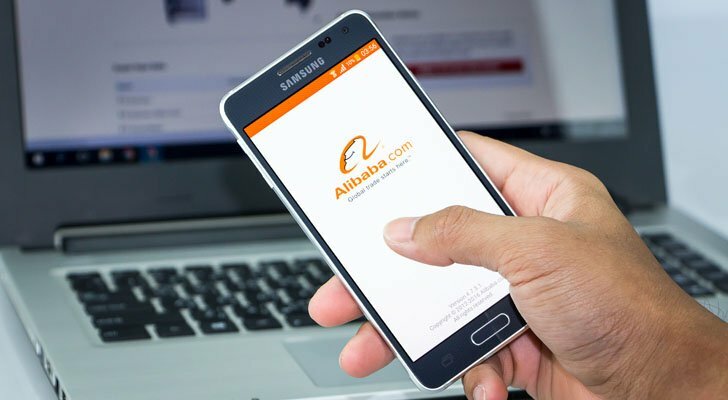 Shares of Alibaba Group (NYSE:BABA) have largely trotted sideways over the past couple of weeks. The charts however now point out that BABA stock is setting up for another leg higher. For the year-to-date, BABA stock thus far is higher by close to 20%. The stock however had almost identical year-to-date performance by late January/early February before slipping into a new consolidation phase. Given the underlying growth story that very much remains in place with Alibaba, to yours truly the longer this stock consolidates in an orderly sideways manner the better the odds of a meaningful next leg higher become. To be clear, BABA stock can be a volatile creature in the short term. Over the years, however, I have learned not to fight the broader trends in strongly trending growth stocks. If we zoom in closer on the price action by way of the daily chart, we see that BABA stock on June 4th broke past its early 2018 highs and thus attempted a marginal breakout of the intermediate term consolidation phase, i.e. out of the blue box. Although we have yet to see so-called “follow-through” buying, note that on Tuesday June 19th the stock left behind on a daily closing basis a long tail, i.e. the stock closed well off its intraday lows and thus bounced off simple horizontal support around the $200 mark. From here, although BABA stock has not yet broken higher, traders could look to slip into long trading positions with a next upside target at $220 and using the $200 area as a stop loss level upon any close below this level on a daily closing basis.